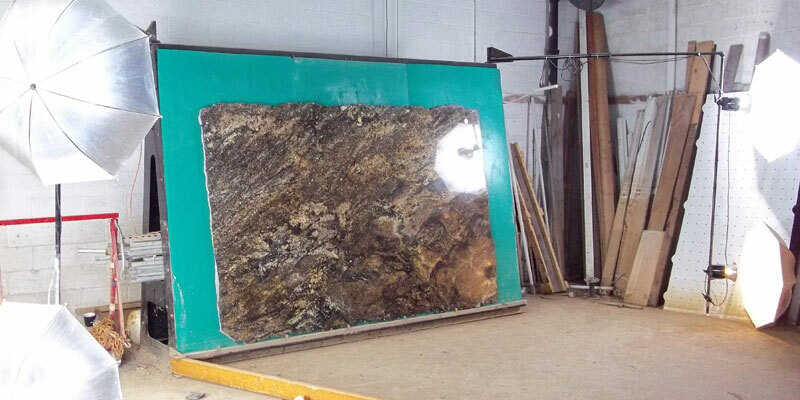 SlabSmith technoloy is the process we use to create the perfect countertops for our customers. 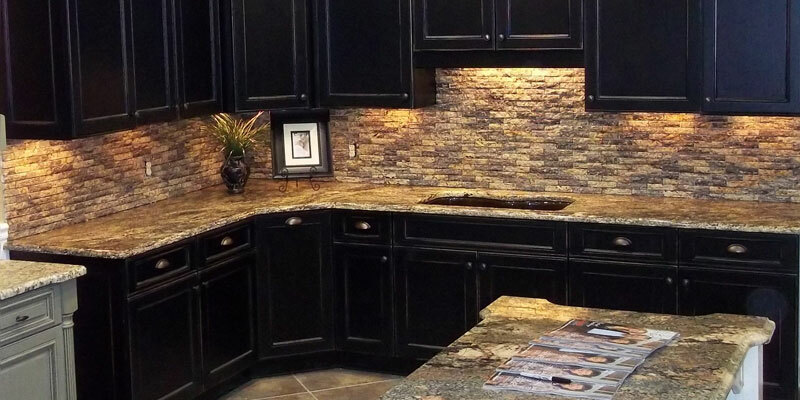 This process envolves the latest in technology which allows us to choose the perfect design to fit your needs. 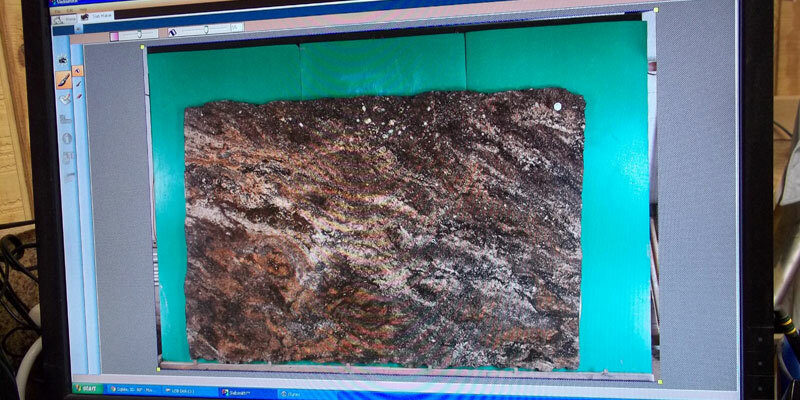 After deciding on which slab you want to use, we take a high resolution camera to take photos of your slabs. 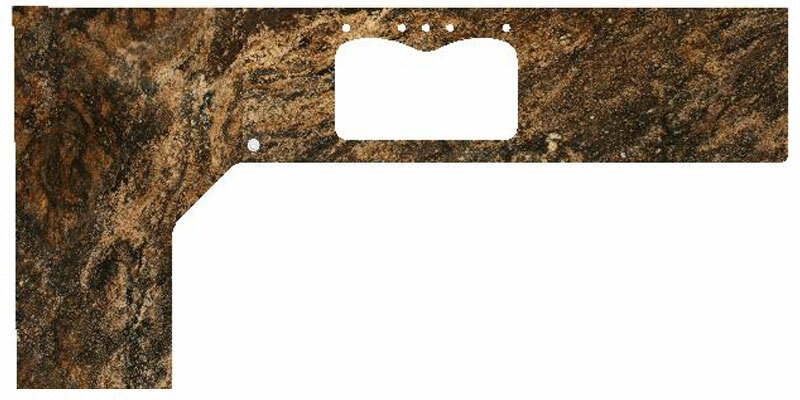 Our photo station is set up to calibrate each photo for size and color accuracy of each slab to create the best picture possible. 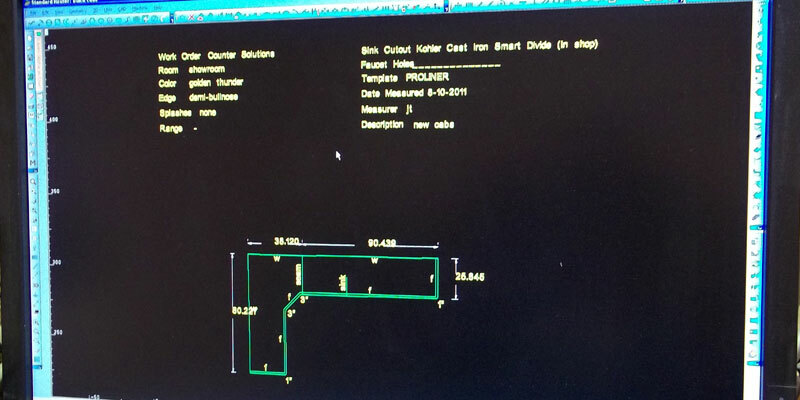 One of our CAD designers will convert your initial drawings from template to a digital drawing file. These drawings are accurate to within a fraction of an inch of your kitchen. Digital drawings are now manipulated into individual pieces of your kitchen, using a program called SlabSmith. 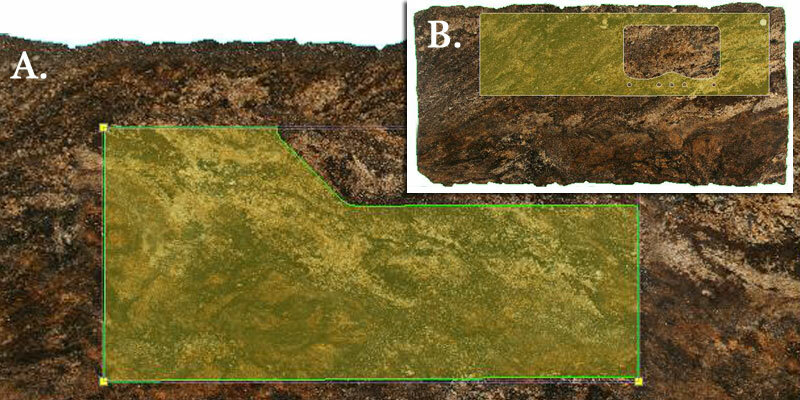 By doing this we are able to move the pieces around on the slabs until we get the best looking countertops and seams. We will send this layout to you for approval and, if you like, we can make changes as necessary to ensure you are happy with the results. Once you have approved the layout, we will start cutting. 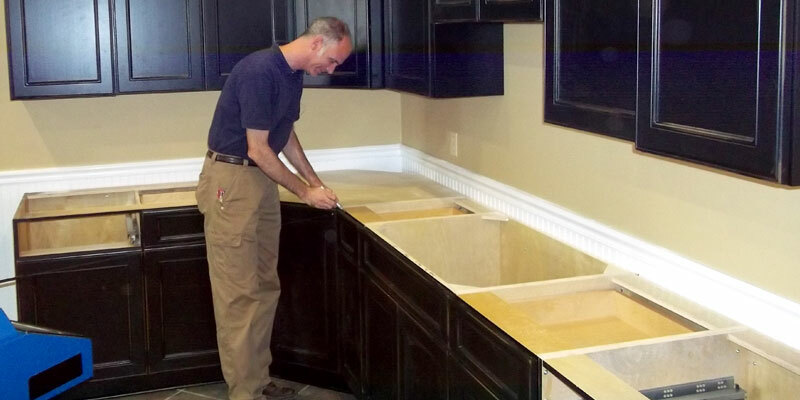 Because of this process you can have confidence in what to expect out of your countertops. *Prior to or during installation unforeseen circumstances can arise that may compromise your layout, so SlabSmith images created are not guaranteed.